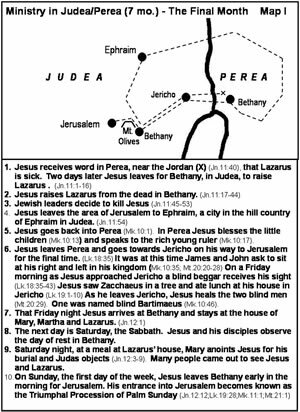 "As I urged you when I went into Macedonia, stay there in Ephesus so that you may command certain people not to teach false doctrines any longer or to devote themselves to myths and endless genealogies. Such things promote controversial speculations rather than advancing God’s work—which is by faith. The goal of this command is love, which comes from a pure heart and a good conscience and a sincere faith." Command Certain People Not to Teach! Paul tells Timothy to “command certain people not to teach false doctrine.” The word “command” is the same word used by the Sanhedrin in Acts 4:18 when they commanded the apostles not to speak or teach in the name of Jesus. “Command” (parangello) is a strong word in the Greek which is a military term for giving strict orders and to pass those orders from one to another with an emphasis on giving those orders with strict authority. "False prophets are to be found in the circles of the most orthodox, and they pretend to have a fervent love for souls, yet they fatally delude multitudes concerning the way of salvation. The pulpit, platform, and pamphlet hucksters have wantonly lowered the standard of divine holiness and so adulterated the Gospel in order to make it palatable to the carnal mind." Zeteo (Gr) - Seek (Eng) - zeteo is Greek word that means "seek," The word zeteo was a technical term for seeking knowledge through philosophical investigation." It is used 115 times in the GNT (Greek New Testament). Besides begin translated "seek," zeteo is also translated: "deliberating," demanding," inquire," Looking," "made efforts," "strving," "tried,"
Is my Christian life a manifestation of the fruit of the Spirit? Or, am I working in the flesh to produce an imitation of the fruit? Fruit grows naturally from a soul renewed with the truth of the Word of God. the fruit of the Spirit instead of forcing application of "Christian" works of the flesh from an empty soul. "A stingy man is eager to get rich and is unaware that poverty awaits him." 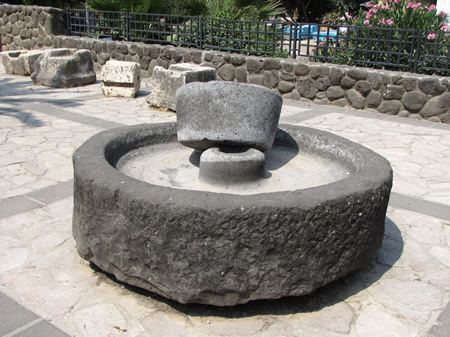 An olive oil press made of basalt stone. This is in Galilee and most likely was produced in Capernaum. 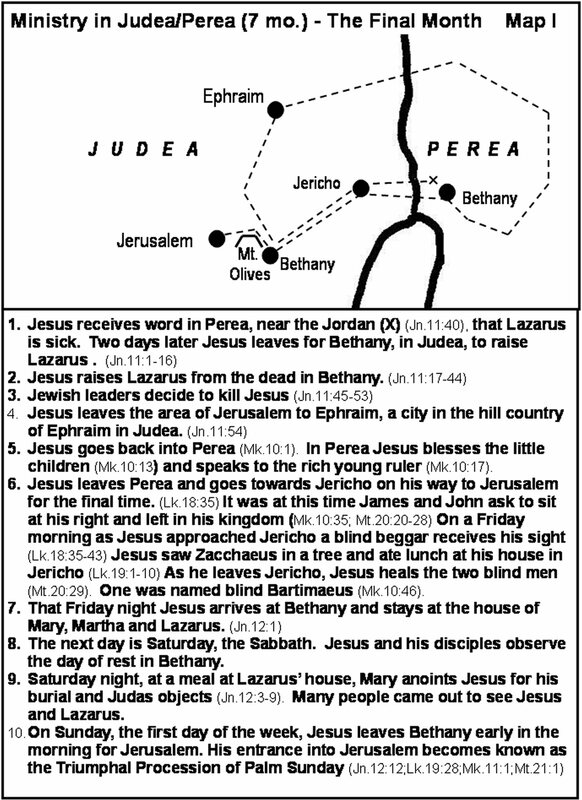 (click on image for larger size) Details of Jesus' final month of ministry.